VANCOUVER, BC–(Marketwired – July 11, 2017) – Aquatic Informatics Inc., a global leader in providing innovative software solutions for water data management and analysis, announces the successful amalgamation with WaterTrax and Linko Technology in one of the most important business combinations in recent history for water professionals looking to partner with a single software leader to solve their complex water challenges. 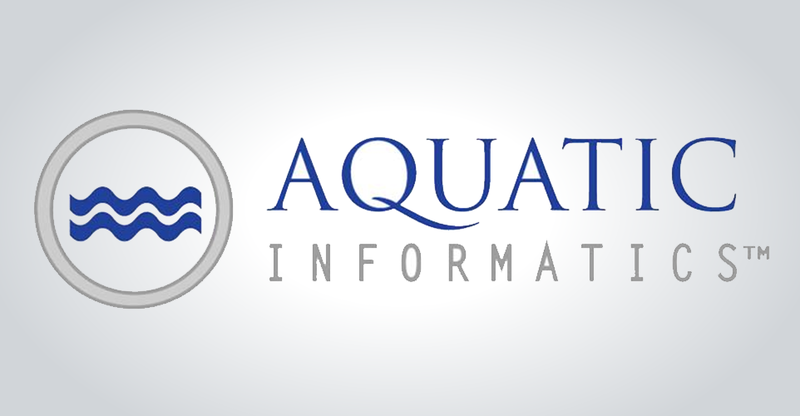 Aquatic Informatics’ AQUARIUS brand will continue as the most trusted solution worldwide for surface water data management. WaterTrax will continue as a market leader in the municipal drinking water and wastewater segments with its suite of easy-to-use cloud-based solutions for compliance management and operations. Linko will remain the software of choice for industrial pretreatment, FOG (fats, oil, and grease), and liquid hauled waste management among municipal wastewater authorities. The corporation will continue to operate offices in Vancouver, British Columbia; Denver, Colorado; Ferndale, Washington; and Hobart, Australia to best service a growing global customer base. Ed Quilty added, “I wanted to extend my appreciation to our long-term local investors, including Renewal Funds, who helped support our growth.” This transaction was also made possible by new capital funding from XPV Water Partners. This investment will help expand Aquatic Informatics software suite and solidifies the company’s position as the global leader for environmental data management, analysis, and compliance software. WaterTrax is an industry-leading software provider that helps agencies and utilities monitor and manage their water and wastewater system data. Through technology-driven data collection, automated data management, and electronic reporting, WaterTrax equips clients with the tools to streamline their regulatory compliance practices and improve data integrity. Established in 2000, WaterTrax has a growing client list of more than 125 leading municipalities and agencies that manage over 4,000 water and wastewater systems across North America. For more information about WaterTrax, go to www.watertrax.com. Linko Technology is the leading supplier of Industrial Pretreatment; Fats, Oil & Grease (FOG); and Liquid Hauled Waste software to municipal agencies across North America. Since 1996, over 400 Industrial Pretreatment, FOG, and Hauled Waste Software customers across the nation have chosen Linko for their industry leading software, vast implementation experience, and unmatched support. For more information about Linko, go to http://www.linkotechnology.com. Aquatic Informatics™ provides software solutions that address critical water data management and analysis challenges for the rapidly growing environmental monitoring industry. Aquatic Informatics is focused on providing solutions to a range of different customer groups including federal, state/provincial, and local government departments; utilities; hydropower operators; mining companies; academic groups; and consulting organizations who collect, manage, and process large volumes of water quality or quantity data. For more information about XPV Water Partners, go to www.xpvwaterpartners.com.